Joan Louise Kotcherowski, age 94, of Toledo, passed away on Wednesday, October 22, 2014, at The Manor at Perrysburg. Joan was born on October 18, 1920, in Minster, Ohio to Louis and Mary (Jacob) Naber. Joan was a homemaker who loved visiting family and friends, traveling and playing games. She was first a member of St. Jude Catholic Church and then a member of St. Pius X Catholic Church, where she was actively involved in the funeral choir, Legion of Mary, Altar Rosary Society, St. Vincent DePaul and the St. Louis soup kitchen. She volunteered for other people and organizations like Sunset House as well. Joan was preceded in death by her parents; husband, Daniel Kotcherowski; sisters, Marcella (Lawrence) Kromenacker, Annarita (Frank) Momenee; brothers, Mel Naber, Ed (Mary Ellen) Naber, and brother-in-law, Eugene Kotcherowski. Joan is survived by her daughters, Mary Kotcherowski, Terry (Dave) Boyer, and Joyce (Joel) Sutton; 4 grandchildren, and 1 great-grandchild and many other family members. Visitation will be held on Friday, October 24, 2014, from 5:00 until 8:00 p.m. with a Rosary at 7:00 p.m. at Blanchard-Strabler Funeral Home, 1163 W. Sylvania Ave., 419-269-1111. A Mass of Resurrection will be held on Saturday, October 25, 2014, at 10:30 a.m at St. Pius X Church, with visitation a half hour prior to services. Burial to follow at Calvary Cemetery. The family would like to honor the staff of the Manor who became part of our family by loving Joan as we did. Their kindness will forever be remembered. With that grateful memory we will try to pass on that tenderness to others. 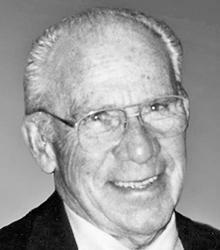 Melvin E. Matthews, age 93, of Holland, Ohio, died October 12, 2014, at Astor House. He was born April 1, 1921, to Archie H. and Erma Ruth (Lowell) Matthews in Platner, Colorado. He married Barbara J. (Simmons) Matthews on August 14, 1951. Mel was a TSgt. Army (Infantry) WWII veteran, having served over 6 1/2 years in the military service of which one year was in British and Dutch New Guinea and one year on Luzon, Philippine Islands from invasion day until the war in the Pacific ended. He worked for Panhandle Eastern Pipeline Co. in Maumee for 5 years and there he met wife, Barbara. He was the former owner and operator of Simmons Nursery and Landscape, Inc., Toledo and continued working for his son in the business he loved many years following his formal retirement. Stopping work was never his goal. Mel was patriotic and loved his association with Post #335, American Legion, where he served 10 years as Chaplain, was a lifetime member of VFW Post #11115, Maumee, and member of the Lucas County Veterans Burial Corps. He kept his American Flag flying daily. The Matthews family wishes to thank Hospice of Northwest Ohio and the staff and “family” of Astor House at Spring Meadows for their outstanding care and support. Mel is survived by his wife, Barbara; children, Deborah, David (Denise) and Jeffery (Susie); grandchildren, Nathan (Holly), Sara (Joseph), Zoe and Hal; great- grandchildren, Tyler and Jillian; sister, Dorothy Bateman. He was preceded in death by granddaughter, Andrea Leigh and seven siblings. Michalene “Mickey” Webb, age 52, of Rossford, Ohio passed away on Saturday, October 4, 2014, at Hospice of Northwest Ohio in Perrysburg. She was born on November 24, 1961, in Toledo to Michael and Albina (Hricovsky) Radawec. 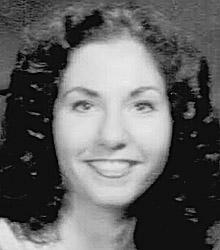 Michalene was a 1980 graduate of McAuley High School. She received a LPN degree from Mercy College of Nursing and then attended Owens Community College where she received her RN degree. Michalene was employed with the Franciscan Care Center of Sylvania as a Registered Nurse for 22 years. In her spare time she was an avid history buff but most of all enjoyed spending time with her family especially her grandchildren. Surviving is her loving husband, Jeffrey A. Webb Sr.; son, Jeffrey A. Webb Jr.; daughter, Jennifer Webb-Hobson; stepson, Paul Webb; grandchildren, Ainslee, Taylor and Landen; sisters, Marlene (Stanley “Butch”) Spangler and Michelle (David) Renshaw. Michalene was preceded in death by her parents, and her sister, Julienne Radawec.